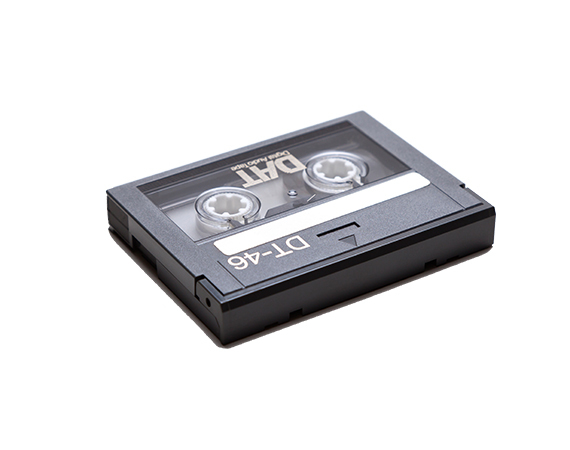 When only the highest quality will work for your band, digital audio tapes were there to help. Now that DAT machines are hard to find, LA Video Transfer can help convert all your most important jam band sessions to CD or digital file! DAT tapes were created by Sony in 1987 to replace those old, analog audio cassettes with a new, digital audio solution. DAT tapes were a popular, professional format, which enabled recordings of higher quality than CDs! Studios and independent bands began using the format as a high quality master before sending them to CD distribution. Once MP3 and iPods exploded onto the market, music lovers found themselves gravitating towards tiny,portable audio players rather than a venerable tape format. DAT machines were completely discontinued in 2005 and the countdown to the end of DAT had begun. Los Angeles Video Transfer Service knows ones and zeroes like an 80’s computer geek. Whether on a hard drive or magnetic tape, you can be assured we will transfer all your precious high quality tapes to uncompressed audio files or CD. We use professional grade audio equipment to provide the best fidelity possible.